Acceptable payment methods include credit card, pre-paid reservations, and 5280 Rewards accounts with an active card on file. To sign up for a 5280 Rewards account, click here! How Does Canopy™ Calculate Parking Rates? Daily parking charges at our parking facility near Denver International Airport are based on 24 hour periods, beginning upon entry to the parking facility. When you park at our airport parking facility near DIA the hourly rate is $2.00/hour for Open Air Parking or $3.00/hour for Covered Self-Park and $4.00/hour for Indoor Valet; the maximum hourly charge for any 24 hour period will not exceed the daily rate. 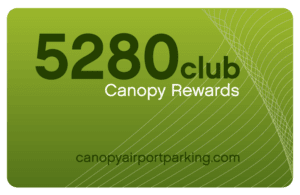 Canopy Airport Parking® at DIA accepts all major credit cards and prepaid reservations. Payment is made at the time when the guest exits Canopy Airport Parking® (with the exception of prepaid reservations or prepaid monthly or annual parking). When you book a reservation at Canopy Airport Parking®, you can rest assure that your car has a home. 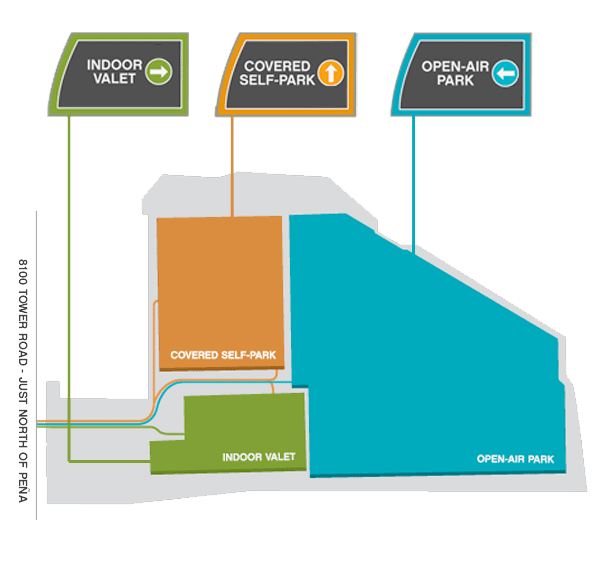 During inclement weather, covered self-park and indoor valet can fill up quickly. So to ensure your car’s safety, please be sure to plan ahead and make your reservation today. What Makes Canopy Parking™ Different from other Denver Airport Parking Facilities? Choosing the right parking lot is not just a matter of finding the most convenient or inexpensive parking solution. Although we put our customers first and pride ourselves on being both convenient and inexpensive, Canopy Parking™ was also built with the environment in mind. Learn about what makes Canopy Parking™ at DIA one of the greenest parking facility in the world. *All transactions will also include an 8% airport access fee, and a $1.00/trip Commerce City Municipality tax.